Korukonda temple is 65 kms away from Kakinada and 25 kms from Rajahmundry. The deity of this temple is Swayambhuvu. This temple is named after the village Korukonda .The deity is in the form of a stone which is of 125 mts in height.This temple was built around 750-800 years back. This temple is located on the hill and is one of the best good looking temples. 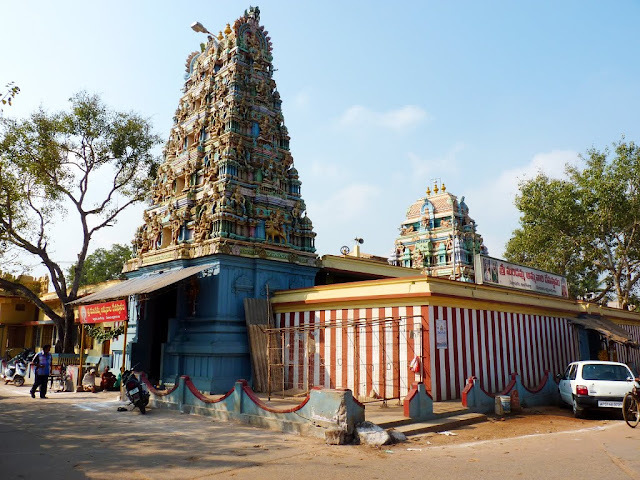 Draksharamam Temple is located around 40 km from Rajahmundry and is dedicated to Lord Shiva. The temple has many inscriptions carved on its building, which include edicts of sculptural traditions of Chola and Chalukyan dynasties. Near the temple, there is a Sapta Godavari Kundam, which means Seven River Pond that attracts devotees as well as tourists. The local priests believe that Sage Vyasa named this place as Dakshina Kasi. Saptamaharishis or Seven Sages divided the Godavari River in seven distinct streams at Draskharama in order to end their penance. Bharadhwaja, Viswamitra and Jamadagni out of the seven streams were believed to have gone underground. Another mythological event of Lord Shiva and Goddess Parvati is associated with this temple. It is believed that King Kaksha Prajapati organised a yagya and did not invite his son-in-law, Lord Shiva. Goddess Parvati, though uninvited, joined this yagya and was not treated well. Feeling insulted, she killed herself of fire and hence, this place is known as Draksharamam. Devotees and tourists visit this temple during the celebrations of Shivaratri. Ainavilli Temple is located around 55 Km from Rajahmundry and can be reached via Ravulapalem, Kotapeta and Vanapalli.Ainavalli is a land of unspoiled beauty and reeks of history. Vaastu Sastra teachings say that the most suitable place to build a temple is on a bank of a river or near the sea or at the confluence of rivers or on top of a mountain or near places of sanctity. Ainavalli has certainly plenty of temples on such lines and one can certainly experience not only peace of mind, but also profound satisfaction. Located about 33 Km from Kakinada, 40 Km from Rajahmundry and 60 Km from Amalapuram, it is popular for the beautiful stone temple of Lord Shiva, which was built by Eastern Chalukyas between 9th-10th centuries. A stone sculpture of Ganesha in the same place is said to be a marvel and a masterpiece of Chalukyan craftsmanship. The place reeks of divine sanctity so well described in the Vaastu Sastra. There exist several important temples and some of the popular ones are Sri Golingeswara Swamy temple, Sri Rajaraja Temple and Sri Chandrasekhara Swamy. The artwork in these temples is stunning and speaks highly of the genius of the craftsmen. Located about 38 Km from Kakinada, 60 Km from Rajahmundry and 15 Km from Amalapuram, Kotipalli is a famous pilgrimage centre, which is situated on the Bank of River Godavari according to Brahmanda Puranam and Gowthami Mahatyam. Three idols of Lord Indra, Lord Lord Chandra and Kasyapa Maharshi are found here. waters can get rid of his sins. It is also known as Koti Teertha Kshetram as a number of water currents are flowing in these waters. Here there is no difference between Lord Vishnu and Lord Siva. This temple was named after a saint Dwaraka who is an utmost devotee of Lord Venkateswara. This temple has got a very special attraction i.e. this temple has a total of two idols in it. One of the idol is a complete idol and other just has the upper part of the Lord Venkateswara. Both of these idols are worshipped by the devotes. 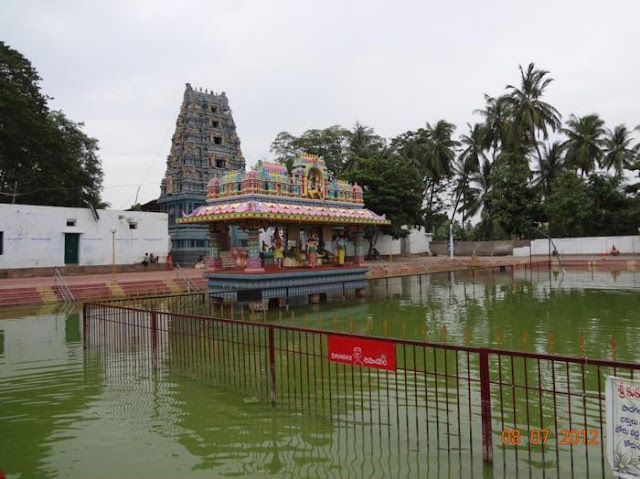 Annavaram temple is situated on the banks of East Godavari. The idol of this famous shrine is Lord Veera Venkata Satyanarayana swamy on the hills of Ratnagiri. There used to old saying that this land is belongs to both Lord Sri Veera Venkata Satyanarayana Swami and Goddess Anantalaxmi Satyavathi Ammavaru. 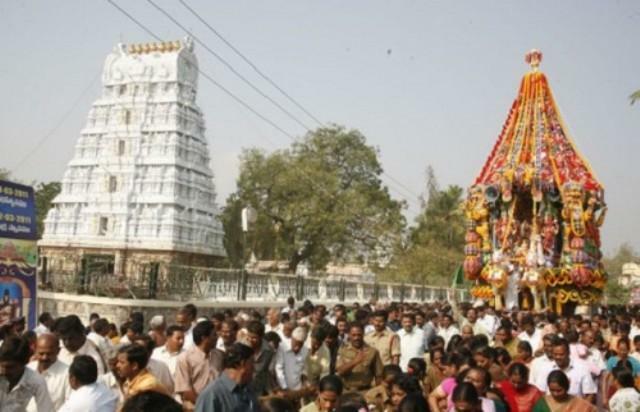 In Andhra Pradesh this temple stands out to be the most famous pilgrims after Tirupati. This temple architecture is most astonishing thing for anyone who visits this temple. This temple is 85 kms away from Rajahmundry and 150 kms from Visakhapatnam. Vanapalli temple is 60 kms away from Rajahmundry and around 75 kms from Kakinada. The idol of this temple is Pallala Ammavaru. 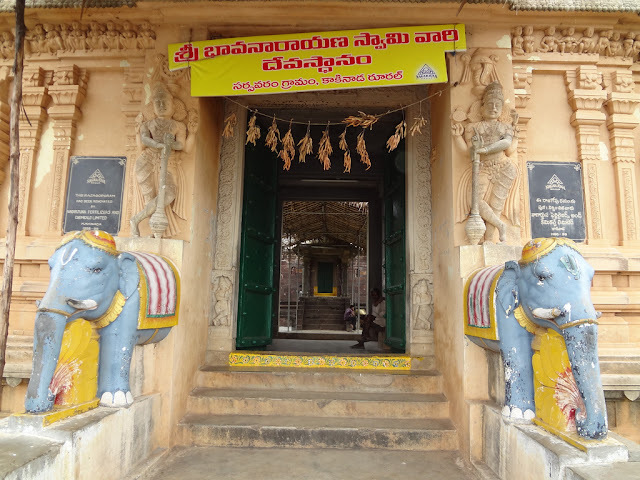 This temple has got its name as it is located in a village named Vanapalli. This village lies on the banks of River Gowthami. This temple has got so much Hindu mythological incidents that took place in the ancient times. This is also one of the temples of Andhra Pradesh that is believed to have so much of power. 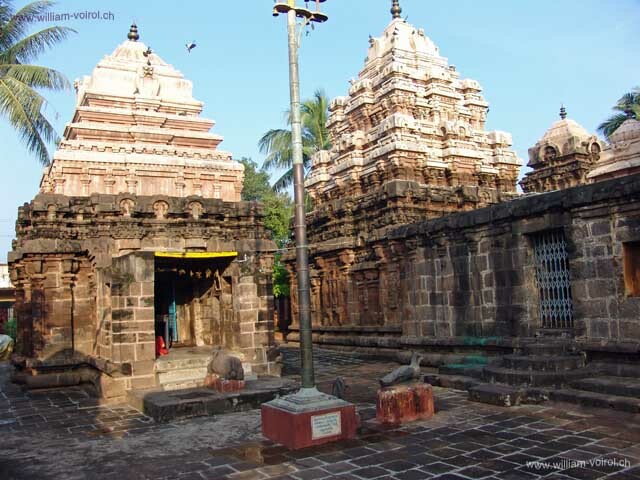 Appanapalli temple is 75 kms away from Kakinada and about 90 kms from Rajahmundry. This temple is located on the River Vynateya banks. This is also called as second Tirupathi. The idol of this temple is Lord Venkateswara. This temple has got this name when a Rushi named Appana did a long thapassu for the goodness of the world. This used to be chanting place for all the Brahmins in the olden days. Bikkaavolu temple is 35 kms away from Kakinada and 50 Kms from Rajahmundry. The idol of this temple is Sri Raja Rajeswari Ammavaru. This temple was built by the Chalukyas who are great architectures. The temple was named after a king who ruled that region. This temple has a fantastic architecture. In this temple the sculpture of Lord Ganesh stands above all. Gollala Mamidada temple is about 25 kms away from Kakinada and 60 kms away from Rajahmundry. This temple is located on the banks of River Antharvahini. The deity of this temple is Sri Suryanarayana Swamy. This temple was built by the jamindar of that area. This is one of the famous temples in the entire East Godavari. Every year thousands of pilgrims visit this sacred temple. Mandapalli temple is 40 kms away from Rajahmundry and 75 kms from Kakinada. The deity of this temple is Lord Shiva. There are sayings that a priest named Dhadhichi has made a sacrifice of his spinal cord for the sake of weapon named as Vajrayudha. This is a very powerful weapons used for killing evil forces. Lord Sani who is the son of the god Sun had fought with the devils and as a symbol of his victory he placed a statue of Lord Shiva in this temple. Muramalla temple is about 30 kms from Kakinada and 120 kms from Rajahmundry. This temple is named after the village called Muramalla. This temple is located on the banks of River Gowthami. Here in this temple Nithya Kalayanam is performed on daily basis to the Lord. Palivela temple is 95 kms away from Kakinada and 60 kms away from Rajahmundry. This temple is located in a village named as Palivela. Here the deity of this temple was installed by Agastya Maharshi.The deity of this temple is Sri Uma Koppilingeswara Swamy. This temple is situated on the banks of River Kowsiki. Many pujas are performed in this temples. Peddapuram temple is 25 kms away from Kakinada and 50 kms away from Rajahmundry. During the exile of Pandavas they have visited this place and spent some days in this village. This village is located on the top of the hill. Only tribal people used to live in this village. There are sayings that Pandavas have built a tunnel from this place to Rajahmundry. Even the foot prints of Bheema were clearly visible on the rocks of the hill. Samalkota temple is 15 kms from Kakinada and 55 kms from Rajahmundry. The deities of this temple are Kumararama and Bhimesvara. This place was ruled by Eastern Chalukyas. This temple has a long history behind the formation of it. Many dynasties have ruled this place for so many years. It is said that about 30 kings have lived in this place. 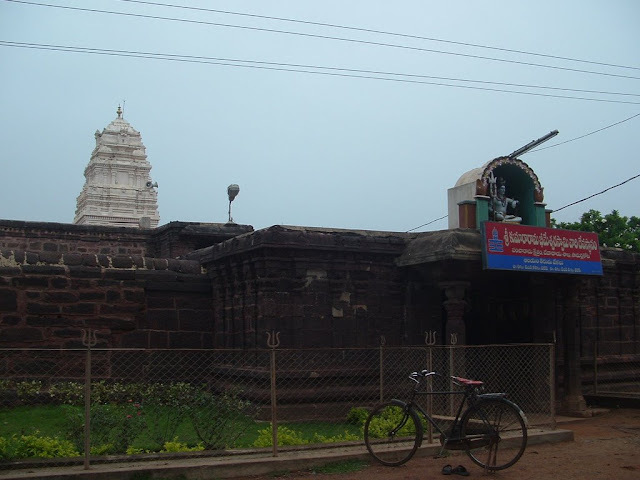 Sarpavaram temple is 10 kms from Kakinada. There used to sayings that a great priest named Agastya preached this story his disciples in this temple. This temple has a very long history. One day Narada took a dip in a beautiful lake and he suddenly disguised into a lady. That lady married the young King of Pithapuram and gave birth to sons named as Prabhava and Vibhava. After the king got killed the lady went to take a dip in the lake and she was converted into Narada. These are complete list of all the temples around the River Godavari. If you are on a plan to Godavari Pushkaralu…then don’t forget to visit these popular shrines. ourrajahmundry page is super.very informative.